Every time I try and make an extra layered lasagna, it's never as deep as I want it to be. I decided to find a deeper vessel for my lasagna and finally settled on a mason jar. The fun thing about this lasagna is you can really dig deep through the layers and when you eventually reach the cream sauce and pesto its like you have uncovered buried treasure! I actually had an extra thin and long fork that was the perfect spelunking tool. My initial idea on these was to make jarsagnas (or lasanjars?) as Christmas gifts for people and hand them out frozen, but I decided not to. First of all, they were pretty tedious to make. It was totally worth it because they were amazing, but making a couple of them with friends helping out was fun, making 20 to hand out to people would be a nightmare and not even that good of a gift since it's single serving. Secondly, putting a frozen glass into a preheated oven would probably result in an explosion and I didn't want to be known as the lasagna bomber for the rest of my life! More on baking in mason jars at the bottom of this post. Use the very jar you will be making these in as a cookie cutter to make perfect rounds. They will be a little too big at the bottom of the jar, but about halfway up they will start fitting perfectly. It takes a lot of rounds to build a jar. But that's what makes it awesome so don't get discouraged! 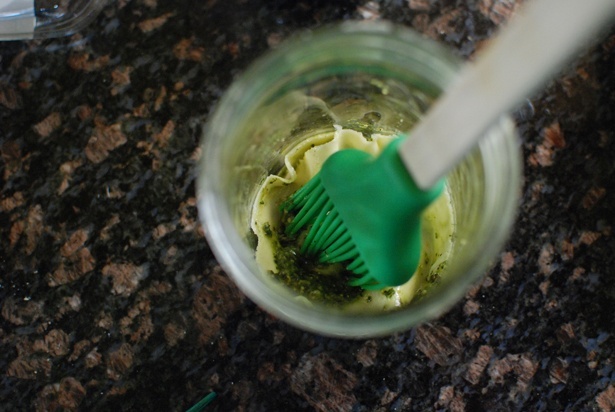 Pop the bottom layers in and brush on the pesto. Don't get pesto on the sides or you won't get that nice Italian flag look at the end. Next bunch of layers get cream sauce with extra mozzarella. Then finally the tomato sauce and ricotta. 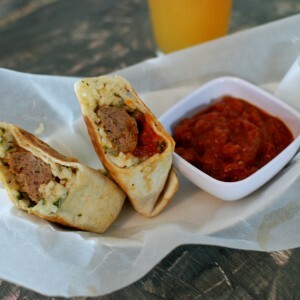 This is best for the top 50% so that it falls down as you eat and you get some tomato sauce bites throughout. Ready for the oven. I put these into a cold oven to prevent any explosions. When I pulled them out of the oven they had this amazing souffle effect, but they fell after a few minutes. So so good. Amazingly good. Classic lasagna flavors, extra special from the cream and pesto, and even better with the layers and layers. My estimate is that there were about 30 layers in each jar. Yup! There isn't much to explain on this recipe, you guys know how to make meat sauce, pesto, and cream sauce already. When you make your pasta dough, roll it out as thin as your pasta roller will go. 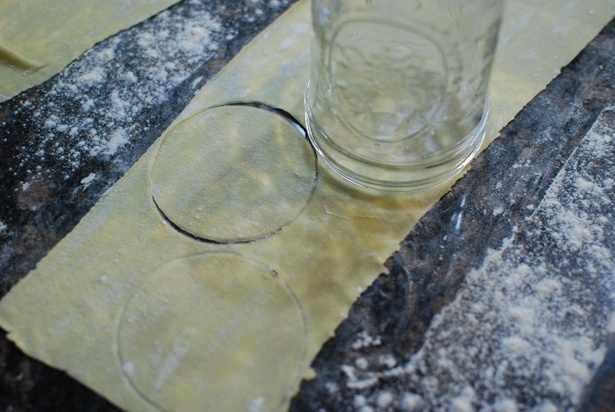 Then use the jar (I used 16oz wide mouth pint jars) as a cookie cutter to make your pasta rounds. It takes a ton of rounds to fill a jar. If you make a standard 3 flour 4 egg batch of pasta it will fill 3 jars, and that's WITH re-rolling out the scraps. Before you start building, blanch the pasta rounds in salted boiling water for about 20 seconds. I did this in batches of 10 and built layers of lasagna as I went with each freshly boiled batch. 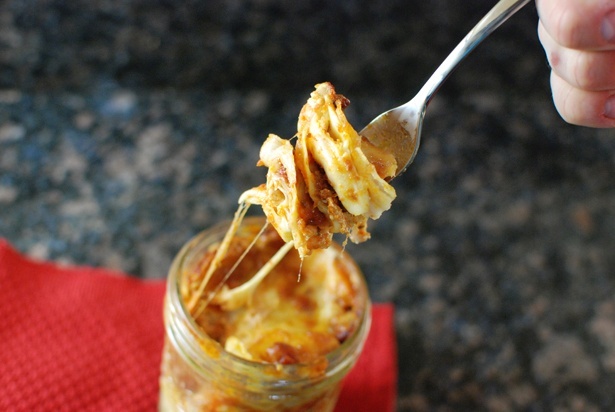 When you're building the lasagna, it will be tough at first to get the rounds into the bottom of the jars to lay somewhat flat. Don't worry about getting it perfect! After about halfway through the jar it will start getting much easier. Start with the pesto between the layers, then about 1/4 of the way, go with the cream sauce and lots of mozzarella. Then for the top 50% do the tomato sauce with mozzarella and ricotta. Go right to the top and pop some extra mozz right on there. *Now lets talk about baking in mason jars. Officially this is not sanctioned by the mason jar people. These jars are however built to withstand pressure cooker sanitizing, so they are fine in the oven as long as you take some precautions. First, you don't want to bake them too hot. I did 325 on these and baked them for 45 minutes. Second, drastic temperature swings are not good for glass. Don't freeze these and then pop them into a preheated oven or you will have some lasagna bombs on your hands! I have read some blogs that say this isn't a big deal, but I personally would highly advise against it. I put these onto a baking dish in a cold oven, then turned the oven on and set the timer for 45 minutes. when I took them out of the oven, I kept them on the baking dish so as not to put them onto a cool surface. I also allowed them to cool for a solid 15 minutes before handling and eating out of. I may be overly precautions, but I have had a few glass baking dishes shatter on me in the past and it's pretty scary. Ooh I love this idea! I think I’d be a little terrified of putting the jars in the oven, so I appreciate your tips. 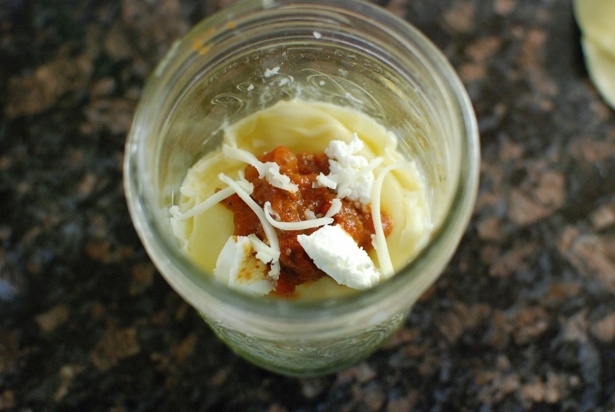 I might be more inclined to use those shorter mason jars… then you could do like little first course ones! Mason jars are created to withstand heat. They are used in pressure cookers. I have made many individual pot pies in a jar for my daughter in college and my dad without ever having a problem. You could always purchase unbaked pasta and do the very same thing. wonton wrapers would work beautifully for this! 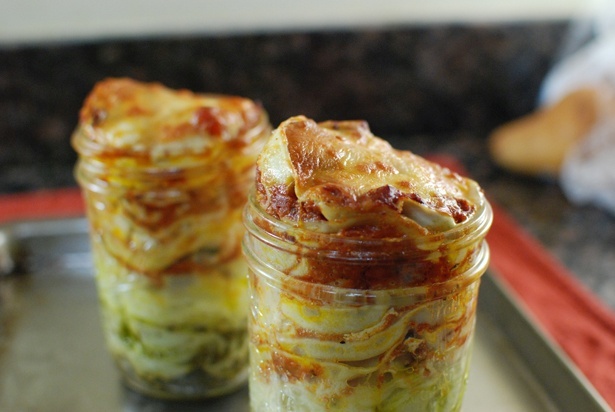 use won ton wrappers for the lasagna in a mason jar! Oh golly, love the blog (I’m one of those long time stalker first time commenter types) and this idea is awesome for lunches at work, yum! Cheryl I think boiling boxed dry lasagna noodles (maybe you can find sheets of fresh lasagna somewhere? I wouldn’t know) cooling them a bit and then cutting that same way would yield a silimar (if not as delicately layered) result if you aren’t inclined to make you own dough? Just an idea..
hmmm, if you cook the pasta a bit longer and use heated sauce you could probably get the cheese to melt just by putting the lid on? If you don’t use any eggs with your ricotta, what are you really cooking by using the oven? 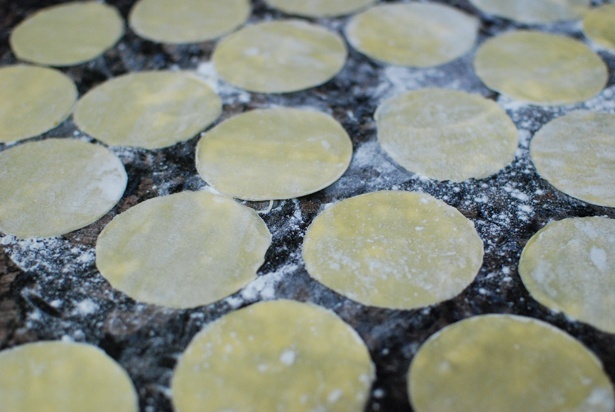 I guess you could cut circles out of woton dough skins.They use them to make ravioli. The time in the oven allows the dish to meld together and all the flavors to combine. Also by the time you create all of your sauces, they aren’t all going to be piping hot. That being said, your idea would in fact work, I just think the baking makes it a little better in the end. Wouldn’t you get deep layers if you made this in a bread pan?Might be safer, too.If you want to make individual ones you could buy those small disposable aluminum loaf pans. When you bake stuff like this in mason jars, can you store it at room temperature and how long will it last??? I love this idea!! No this isnt a recipe to preserve the pasta dish. You should eat it immediately or store it in the fridge. Heya! Magnificent recipe! 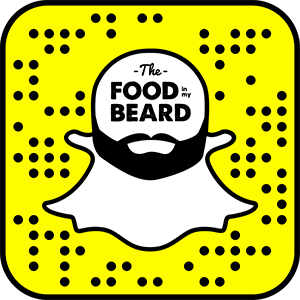 I’m hoping that you still check this to respond to comments, but here goes: have you tried this as a next-day meal? Like, if I made two or three on a weekend, bake them, and all, how do you think they’d hold up on a Thursday, reheated in a work microwave? 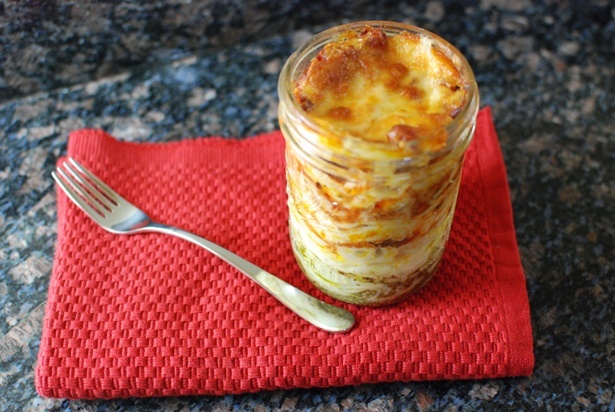 Lasagna always tastes great as leftovers, so these should be really good reheated up to 4 or 5 days later. same question – and if so, what is the best way to reheat? Micro? Conventional oven again? I have an idea! How about making lazaniya in a jar!? You forgot to mention Ricotta Cheese, Mozzarella & (maybe) Parmesian Cheeses in your ingredients list. No she didnt . look again, put your glasses on first ? A brilliant idea! Can’t wait to try it! 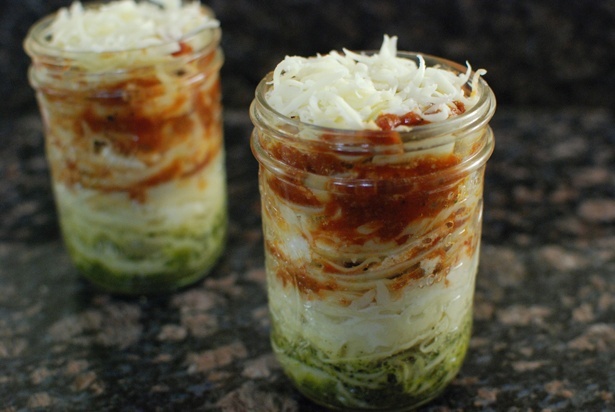 If making a large number of jars why not use store bought pasta to save time? Cut into shape if fresh. If dried you may have to blanch it in water briefly first to make it pliable. Make layers of filling between sheets deeper to cut out hassle of too many fiddly layers and again save time. Cook (even from freezer) in the microwave – faster and safer. Arrange your jars in a ring around the outside edge of your glass carousel. Your glass jars will not shatter as the microwaves heat the food not the glass…this way the glass is only heated slowly from the heat of the food, not rapidly from external heat. You can tell I’m bit on taking short cuts – that’s what raising 6 kids over the past 30 years does for you! I bottle fruit this way in glass jars – works perfectly every time, glass never ever shatters, and you can do at least six large Agee type glass jars at once…. If you were doing mason jars you could probably heat 12 at once. I am sorry but even with your precautions it is still dangerous to bake in Mason Jars. Perhaps this could be done in ramikins or some other oven safe container. Doesn’t look like a good idea to me. Reheating anything in a Mason jar (unless you’re putting it in a water bath, as intended) is just plain risky business. Just for the records, I HAVE had glass break in the microwave, so I wouldn’t be foolish enough to do it again. This recipe is trying waaaay too hard to be “trendy.” Anyway, where’s the ricotta, mozzarella and Parmesan? How good could this possibly be without those key ingredients? It makes a lot more sense to just bake a pan of lasagna, cut it into squares, transport it in Tupperware containers and reheat it at work, like normal people do. Keep a stash of paper plates in your desk if you don’t want to reheat it in the Tupperware. I took delicious, beautiful, home cooked meals to work everyday for years, and I was the absolute envy of everyone in my office as I unveiled my lunch everyday.. Never once did I have to resort to the time consuming task of squishing everything into a jar and risk blowing it up in the microwave. 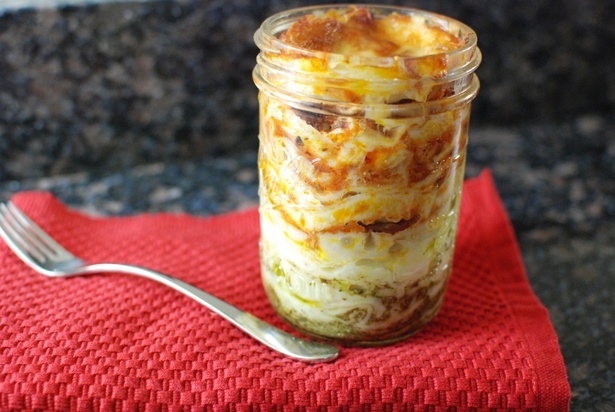 This layering of ingredients into jars is really only applicable with salads and foods that don’t have to be heated. You are a kill-joy. If you can’t say anything nice………….then just zip your trap. Never heat anything in plastic. It leeches into your food. Thank you all for the comments that made me LAUGH out loud this fine morning AND I ADORE any man who would come up with such a magnificent idea. I bake banana and pumpkin bread in Mason jars without any problems, taking the precautions outlined. I seal the bread with Mason lids directly out of the oven, anxious to try this recipe! I want to try this recipe and make an extra for lunch the next day. Can I reheat in the microwave? Also tempted to try big ravioli noodles as the noodle/cheese layers to make my life a little easier. Yes they will reheat great, just don’t put the metal cover in the microwave ? i just use a quickmelt type of cheddar on my lasagna. 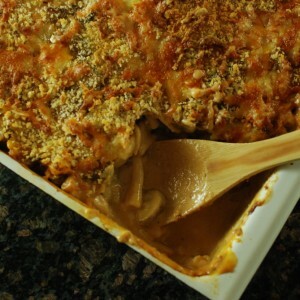 with just a creamy bechamel added on each layers. 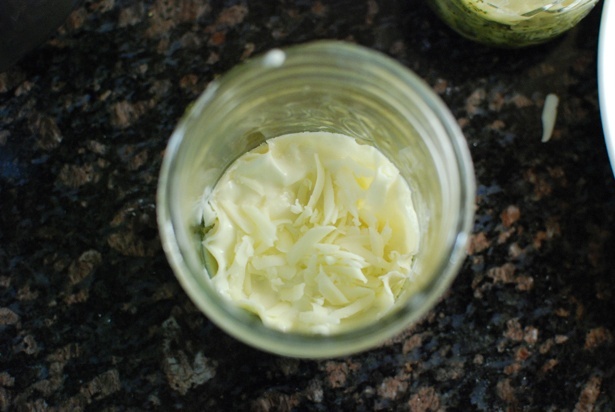 on my case maybe i can use microwave oven to melte the cheese to my jars? I do not know what the cream sauce is – can you tell the recipe for that please? 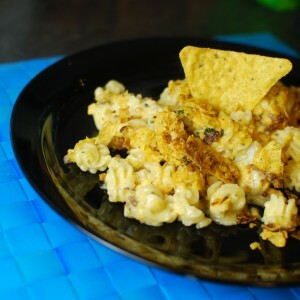 Really want to try this recipe!